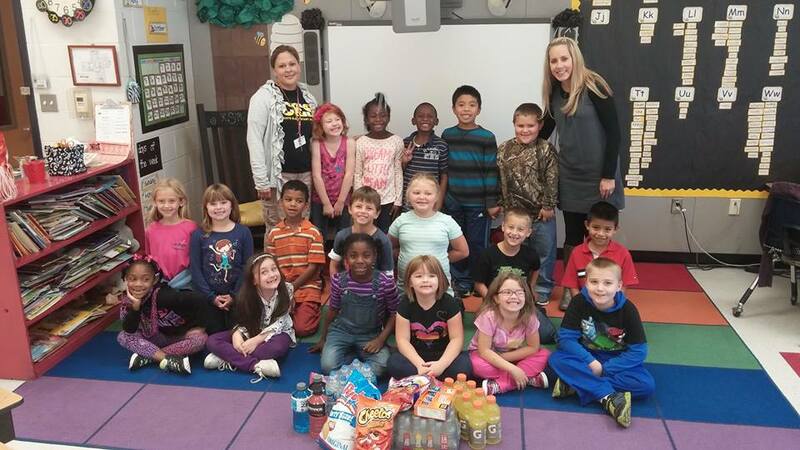 Coats Elementary students in Ms. Staley’s 1st grade class recently brought in snacks and gatorades for the local firefighters in Coats as a way to say THANK YOU for their service. The students have been learning about community helpers and what it means to give back. It was their idea to GIVE BACK by donating to the local heros. They also wrote thank you cards to the fire fighters. 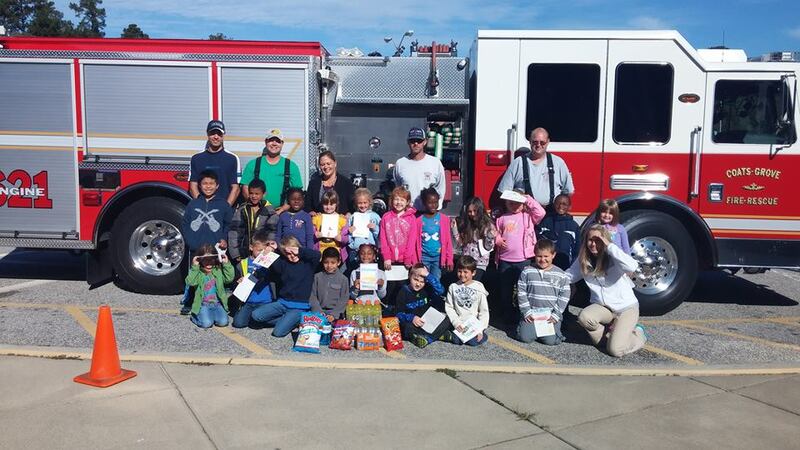 Members of the Coats-Grove Fire Department came to the school and accepted the donations in person.